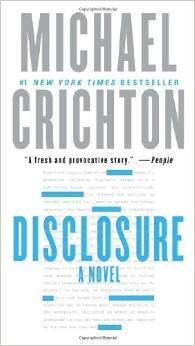 Kait, Renata, and returning guest Caroline (of Fantastic Fangirls and Panels) read Disclosure by Michael Crichton. It’s the ultimate sci-fi horror story for white men: a woman sexually harasses a man and lies about it, and everyone believes the woman! Luckily, the intrepid hero is able to use high-tech 1993-era virtual reality to solve his problems and put that lying lady in her place. Prepare your dialup modem for our 20th episode of #MisandryMonday! Candy pairing: Caroline says Peepsters, Kait says Lifesavers Holes, Renata says a Yorkie bar. Coming up next: City of Bones by Cassandra Clare.